In 2005, Gallup conducted a poll that asked students to name the school subject that they considered to be the most difficult. Not surprisingly, mathematics came out on top of the difficulty chart. So what is it about math that makes it difficult? Have you ever wondered? This definition gets to the crux of the problem when it comes to math—specifically the statement that a difficult task is one that is not “readily” done. The thing that makes math difficult for many students is that it takes patience and persistence. 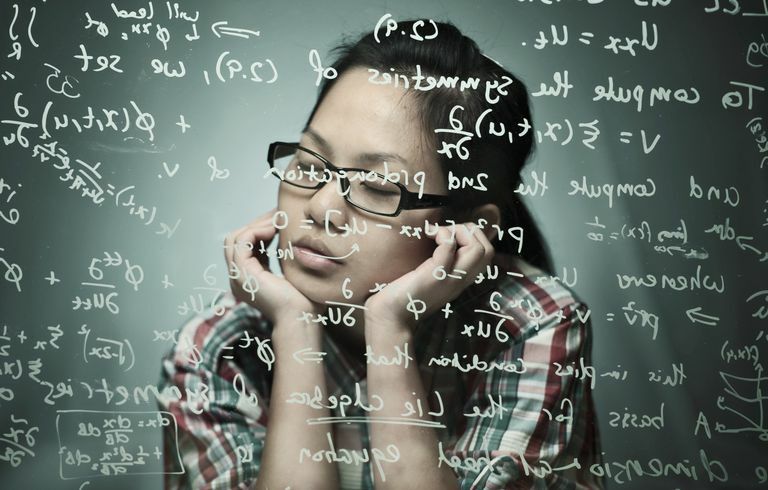 For many students, math is not something that comes intuitively or automatically - it takes plenty of effort. It is a subject that sometimes requires students to devote lots and lots of time and energy. This means, for many, the problem has little to do with brain power; it is mostly a matter of staying power. And since students don't make their own timelines when it comes to "getting it," they can run out of time as the teacher moves on to the next topic. But there is also an element of brain style in the big picture, according to many scientists. There will always be opposing views on any topic, and the process of human learning is subject to ongoing debate, just like any other topic. But many theorists believe that people are wired with different math comprehension skills. According to some brain science scholars, logical, left-brain thinkers tend to understand things in sequential bits, while artistic, intuitive, right-brainers are more global. They take in a lot of information at one time and let it "sink in." So left-brain dominant students may grasp concepts quickly while right-brain dominant students don’t. To the right brain dominant student, that time lapse can make them feel confused and behind. But in busy classrooms with too many students—extra time just isn’t going to happen. So we move on, ready or not. Math know-how is cumulative, which means it works much like a stack of building blocks. You have to gain understanding in one area before you can effectively go on to “build upon” another area. Our first mathematical building blocks are established in primary school when we learn rules for addition and multiplication, and those first concepts comprise our foundation. The next building blocks come in middle school when students first learn about formulas and operations. This information has to sink in and become “firm” before students can move on to enlarge this framework of knowledge. They think a C is good enough. Parents don’t realize that moving on without a full understanding poses a big problem for high school and college. Teachers don’t have time and energy enough to ensure that every single student understands every single concept. So students move to the next level with a really shaky foundation. And the outcome of any shaky foundation is that there will be a serious limitation when it comes to building—and real potential for complete failure at some point. The lesson here? Any student who receives a C in a math class should review heavily to make sure to pick up concepts they'll need later. In fact, it is smart to hire a tutor to help you review any time you find that you've struggled in a math class! Math seems difficult because it takes time and energy. Many people don't experience sufficient time to "get" math lessons, and they fall behind as the teacher moves on. Many move on to study more complex concepts with a shaky foundation. We often end up with a weak structure that is doomed to collapse at some point. Although this may sound like bad news, it is really good news. The fix is pretty easy—if we’re patient enough! No matter where you are in your math studies, you can excel if you backtrack far enough to reinforce your foundation. You must fill in the holes with a deep understanding of the basic concepts you encountered in middle school math. If you’re in middle school right now, do not attempt to move on until you understand pre-algebra concepts fully. Get a tutor if necessary. If you’re in high school and struggling with math, download a middle school math syllabus or hire a tutor. Make sure you understand every single concept and activity that is covered in middle grades. If you’re in college, backtrack all the way to basic math and work forward. This won’t take as long as it sounds. You can work forward through years of math in a week or two. No matter where you start and where you struggle, you must make sure you acknowledge any weak spots in your foundation and fill the holes with practice and understanding! Why are Brain Breaks Important?